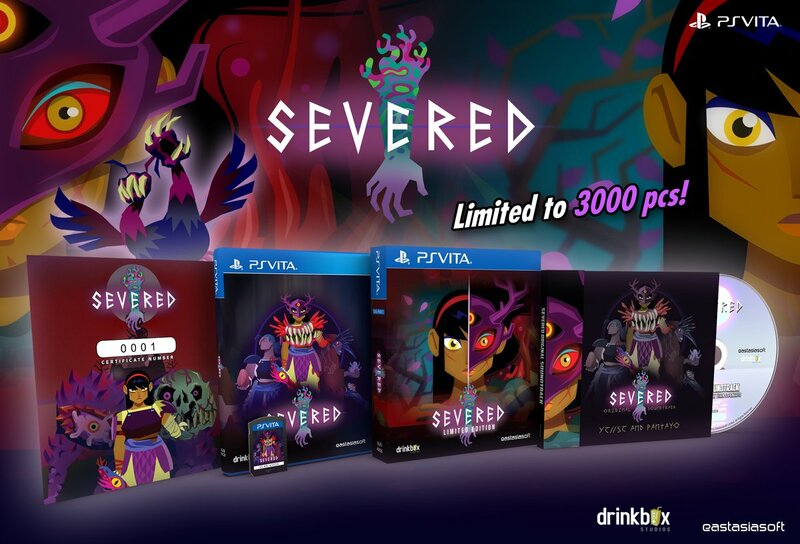 Eastasiasoft and Play-Asia.com have announced that they will be releasing a limited physical edition of the PS Vita version of DrinkBox Studio’s Severed via Play-Asia in August 2018 for $34.99 (including free shipping). Preorders will open on 26th July. The collectors edition will be limited to 3000 copies and will contain the game on cartridge, the soundtrack and a numbered certificate in a collector’s box. Severed is currently available digitally for PS Vita, 3DS, Wii U, Nintendo Switch and iOS.